A casual dining concept for the chic & young at heart, where East meets West. 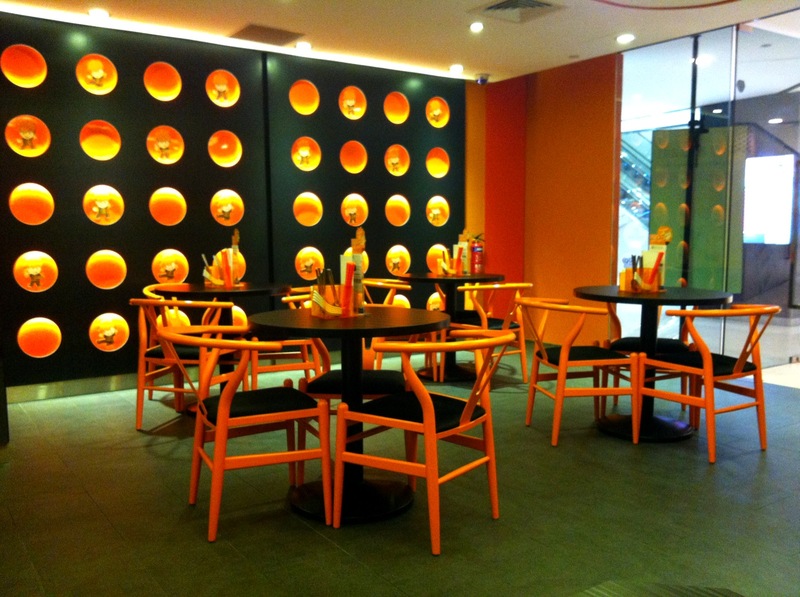 It is a good place to chill out with friends over a plate of tasty Oriental or Western dish. It got me curious with its peculiar and cheesy name, looks like some cheap imitation following on the trail of the widely-popular animated movie Kungfu Panda. A check on the internet reveals otherwise, it belongs to part of the Paradise Group of restaurants, which has numerous outlets of varying concepts all around Singapore's prime locations, ION Orchard, Marina Bay & Singapore Flyer, just to name a few. Paradise Inn as introduced before in my blog, belongs to the group as well. Today, I've managed to free up some time after work and enjoy a chill out session with my friends at this newly opened joint @ Junction 10. 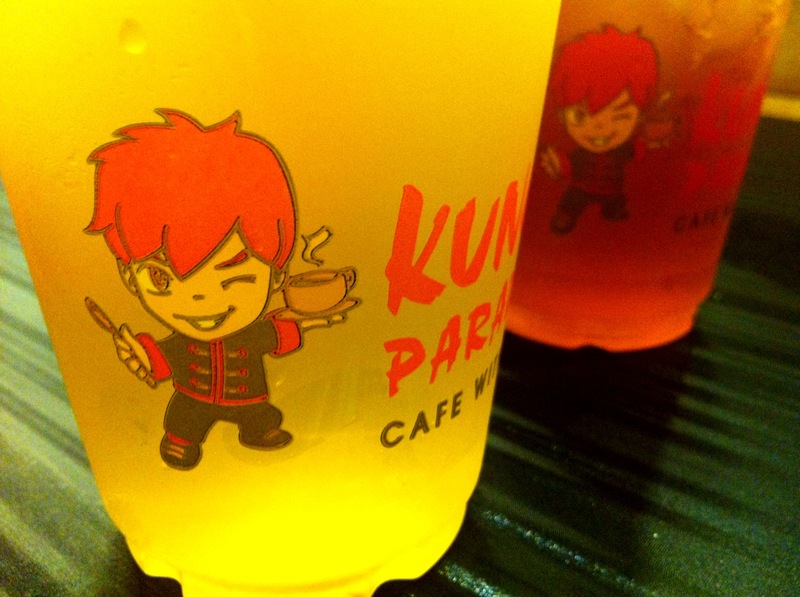 An assortment of beverages to choose from and at a reasonable price too. 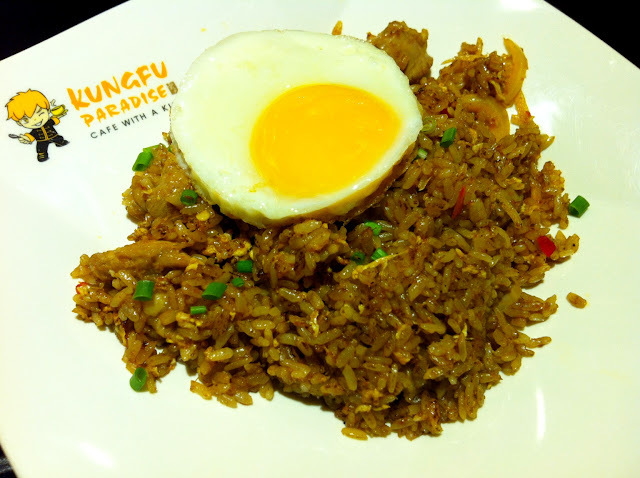 Kampung fried rice topped with a sunny side up. A very nicely done up dish, especially for the fried-rice lovers out there. I personally enjoyed it 101%. Highly Recommended. 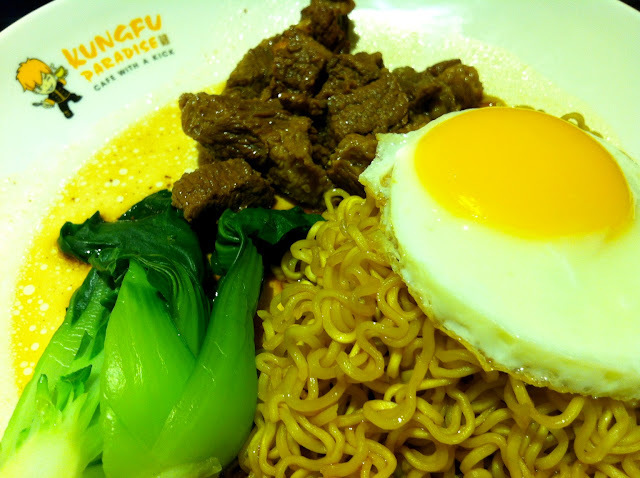 Stewed beef with Korean instant noodles. In comparison to the above dish, this appears to be of average standard. Beef was just like a plain Jane, if you know what I mean, it doesn't stand out from the crowd (food), but acceptable to all. If the beef is plain Jane, then the noodles must be average Joe. Neither coming into contention, for trying to stand out. 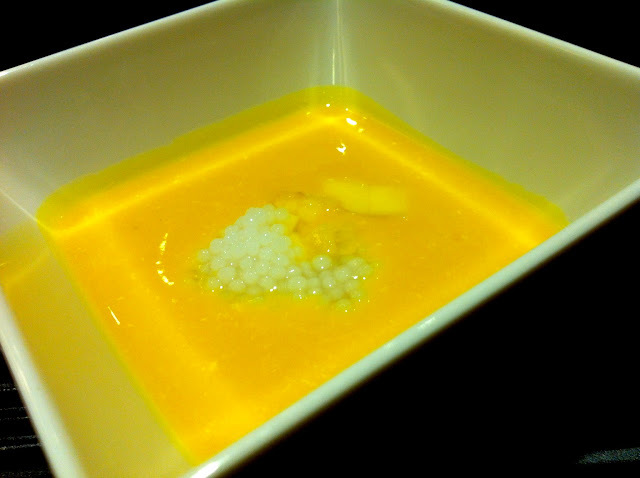 Last, we had the Mango Sago for dessert. Mango puree is smooth and creamy, has that tangy touch and littered with mango chunks. A wise choice for those with an extra room to spare in the stomach. Conclusion: I'll be back for more and by the way, I've signed up for their loyalty programme which entitles me to 10% off the bill and to earn double the points (P$) on my birthday month. On top of that, they have given me SGD20 stored credit, by purchasing it at SGD18. A savings of an additional SGD2. A worthy deal indeed. Is the same one at SSC ?